In 1978, Southern Automotive Group opened its first location in the Hampton Roads area. Now, the company has eight dealerships across the Chesapeake, Virginia Beach, and Norfolk areas. Southern Automotive sells ten brands of automobiles, operates two collision centers, and employs more than 500 people. 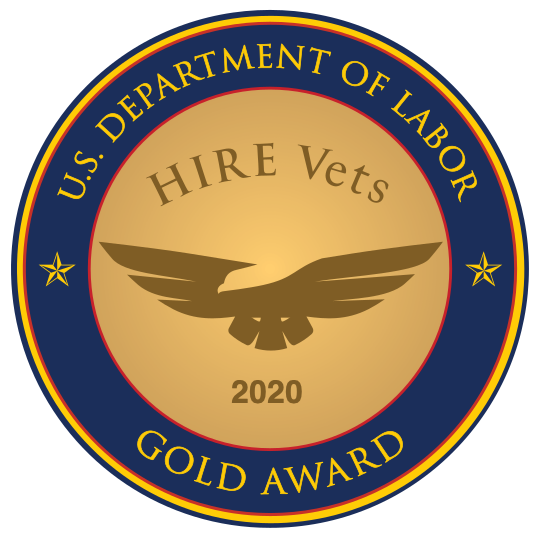 One veteran hire found through a RecruitMilitary hiring event was named Sales Consultant of the Month during his first month on the job, and consistently remains one of the company’s leading salespeople. Other veterans have been named Sales Consultant of the Month and Sales Consultant of the Quarter. Mawyer also acknowledged that the auto sales business has evolved. No longer does the image of the slick car salesman reign. “These days, consumers are far more educated, and Internet sales are booming,” she said. Nevertheless, sales consultants must convey that they are honest and knowledgeable. Mawyer finds this ability typically comes easily to veterans. Southern Auto brings sales managers to hiring events to conduct on-the-spot interviews. If those go well, the managers encourage the candidates to interview again at a dealership a few days later. But selling cars involves much more than shaking hands and offering test drives. “There is a lot that goes on behind the scenes, therefore a candidate must also be detail-oriented,” said Mawyer. She noted that veterans are a natural fit for the car business because they are already process-driven. New sales personnel and technicians receive extensive training. Sales consultants train in groups of 10 to 20; they receive both classroom and online training on a variety of topics. Manufacturers also require certification through an online testing process to guarantee that new employees have sufficient knowledge of what they are selling. Trainees also shadow another sales consultant to learn how to demonstrate the cars, and how to close a sale. A key part of the training is getting comfortable when approaching potential customers. “The worst they can say is no,” said Mawyer. Technicians also undergo a rigorous apprentice program which requires them to work side-by-side with a master technician. They must also complete the manufacturer’s training and certification process. After serving in the Marine Corps for 13 years as a hydraulic diesel mechanic, the warm climate of Virginia Beach called Fritz Toussaint to settle there after his service. He was studying to become a radiology x-ray technician when a gap in his coursework led him to attend a RecruitMilitary career fair in his area to see what employment options were out there. Indeed, Toussaint appears to be wired for success. After just a few months on the job, he earned “Sales Consultant of the Month” honors for both November and December 2014. He has also found that the culture suits him well. “Southern Auto hires so many veterans that I kind of feel like I’m home. There are other salesmen from the Navy and the Army also, so I’m with my peers,” he said. Once he was hired, Toussaint adapted well to Southern Auto’s training program and overall environment, which he attributed to being a Marine. “You are given a lot of leadership, no matter what your rank is. You have lots of expensive equipment in your care, and there are lives depending on you, so it’s very important to do your best and double check everything,” he said. Listening ability was another indirect attribute that has come in handy. “As a leader in the Marine Corps, there are a lot of people who you mentor. You tend to know what is going on in their lives, and you learn to be a good listener.” He found that skill translated very well to his current role. “It helped me to listen to a customer’s needs and place them in the car that is right for them,” he said. Toussaint found that although the structure in the civilian world was different, it was not impossible, especially for a veteran. “We are versatile and taught to adapt our skills to a new environment all the time. The ability to think quickly has helped me to succeed,” he said. Realize your full capability. “Believe me, if you can handle 4,000 Marines, this is cake!” he said. Toussaint pointed out that there is a lot more to selling a car than just being friendly. He was in charge of training more than eight squadrons, up to 4,000 Marines. “I had to make sure everyone had the correct paperwork for inspections. Believe me, if you can handle 4,000 Marines, this is cake!” he joked. He went on to cite the Marine Corps Fit Rep (a yearly evaluation) as an example of how to pinpoint his achievements. “I had really been trained all along on how to present myself and talk about my successes,” he said. Trust what you’ve been taught. “For example, the computer skills you already have will help you. You may not realize how much you know because you’re just doing your job every day. But in the civilian world, you are probably way ahead of others,” he said.